Recipient of Padma Shri, Vishwa Hindi Samman, National Science Communication Award and Dr B C Roy National Award, National President, Indian Medical Association, Gold Medallist; Limca Book of Record Holder; President, Heart Care Foundation of India. A physician, cardiologist, spiritual writer and motivational speaker, Dr KK Aggarwal is the National President of the Indian Medical Association. He is also the founding Trustee and President of Heart Care Foundation of India. He is also the Editor in Chief of the IJCP Group of Communications and eMedinewS. Dr KK Aggarwal has received four National Awards namely the Padma Shri, Vishwa Hindi Samman, National Science Communication Award and Dr BC Roy National Award. He is also a Limca Book of World Record holder for the maximum number of people trained in the lifesaving technique of hands only CPR in one go. He has been a Gold Medalist from Nagpur University. Presently he is also a Senior Physician, Cardiologist and Dean Board of Medical Education, Moolchand Medcity. 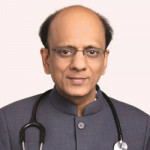 An advocator of preventive and universal healthcare, Dr KK Aggarwal has pioneered leading health initiatives in the country such as starting clot-dissolving therapy for acute heart attacks in 1984 and bringing the technique of Colour Doppler Echocardiography to North India in 1988. He has also been instrumental in conceptualizing and organizing unique consumer driven health awareness platforms such as The Perfect Health Mela and the Run for your Heart. Dr KK Aggarwal is also a medical and Vedic writer and has contributed articles to several books including the International Textbook on Echocardiography and Journals. He has also produced and co-directed TV programs for channels such as DD News, DD Bharti, DD India, Lok Sabha TV and Zee News. 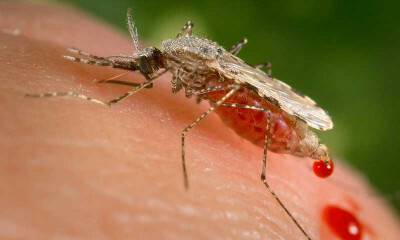 All About Dengue Fever - Can Doxycycline Help? In this video, Dr. K K Aggarwal, President Heart Care Foundation of India and Group Editor in Chief MEDtalks, will di.. In this video, Dr. K K Aggarwal, Padma Shri Awardee, Editor-in-chief IJCP Publications, will talk on whether there is.. In this video, Dr. K K Aggarwal, President Heart Care Foundation of India and Group Editor in Chief MEDtalks, will ta.. In this video, Dr. K K Aggarwal, President Heart Care Foundation of India and Group Editor in Chief MEDtalks, will ex.. In this video, Dr. K K Aggarwal, Padma Shri Awardee, Editor-in-chief IJCP Publications, will explain how to manage a .. In this video, Dr. K K Aggarwal, President Heart Care Foundation of India and Group Editor in Chief MEDtalks, talks a..
Are miss beats always a cause of concern? This video talks about how to check cognitive functions by Dr. K K Aggarwal, Padma Shri Awardee, Editor-in-chief IJCP.. In this video, Dr. K K Aggarwal, Padma Shri Awardee, Editor-in-chief IJCP Publications, will talk about whether docto.. In this video, Dr. K K Aggarwal, Padma Shri Awardee, Editor-in-chief IJCP Publications, will talk about Indian Medica.. In this video, Dr. K K Aggarwal, Padma Shri Awardee, Editor-in-chief IJCP Publications, will discuss about the IMA no.. In this video, Dr. K K Aggarwal, Padma Shri Awardee, Editor-in-chief IJCP Publications, will talk whether non-medical.. In this video, Dr. K K Aggarwal, Padma Shri Awardee, Editor-in-chief IJCP Publications, will talk whether doctors can.. In this video, Dr. K K Aggarwal, Padma Shri Awardee, Editor-in-chief IJCP Publications, will discuss about what is an.. In this video, Dr. K K Aggarwal, Padma Shri Awardee, Editor-in-chief IJCP Publications, talk about ethics which are d.. In this video, Dr. K K Aggarwal, Padma Shri Awardee, Editor-in-chief IJCP Publications, will talk about the new medic.. In this video, Dr. K K Aggarwal, Padma Shri Awardee, Editor-in-chief IJCP Publications, will discuss about patient-do.. In this video, Dr. K K Aggarwal, Padma Shri Awardee, Editor-in-chief IJCP Publications, will talk about the importanc.. The video talks about Indian Medical Association (IMA) 950 campaign by Dr. K K Aggarwal, Padma Shri Awardee, Editor-i.. In this video, Dr. K K Aggarwal, Padma Shri Awardee, Editor-in-chief IJCP Publications, will talk about IMA digital p.. In this video, Dr. K K Aggarwal, Padma Shri Awardee, Editor-in-chief IJCP Publications, talks about IMA Aao school ch.. In this video, Dr. K K Aggarwal, Padma Shri Awardee, Editor-in-chief IJCP Publications, will talk on IMA PVPI helplin..
Should doctors undergo annual health check-ups? This video talks on whether doctors should undergo annual health check-ups by Dr. K K Aggarwal, Padma Shri Awardee, E.. In this video, Dr. K K Aggarwal, Padma Shri Awardee, Editor-in-chief IJCP Publications, will talk on whether doctors .. In this video, Dr. K K Aggarwal, Padma Shri Awardee, Editor-in-chief IJCP Publications, will discuss the formula of 8.. In this video, Dr. K K Aggarwal, Padma Shri Awardee, Editor-in-chief IJCP Publications, will talk on whether Bhagvat .. In this video, Dr. K K Aggarwal, Padma Shri Awardee, Editor-in-chief IJCP Publications, will scientifically explain L.. In this video, Dr. K K Aggarwal, Padma Shri Awardee, Editor-in-chief IJCP Publications, will scientifically describe .. In this video, Dr. K K Aggarwal, Padma Shri Awardee, Editor-in-chief IJCP Publications, will describe about Lord Kris.. In this video, Dr. K K Aggarwal, President Heart Care Foundation of India and Group Editor in Chief MEDtalks, answer "Wh.. In this video, Dr. K K Aggarwal, President Heart Care Foundation of India and Group Editor in Chief MEDtalks, answer "Ca..
Is it right for a hospital to admit two patients in one bed? In this video, Dr. K K Aggarwal, Padma Shri Awardee, Editor-in-chief IJCP Publications, will di..
Can a hospital admit two patients in one bed? In this video, Dr. K K Aggarwal, Padma Shri Awardee, Editor-in-chief IJCP Publications, will talk on whether a hospit..
Is it right for doctors to be implicated under Section 308? The video talks about whether it is right for doctors to be implicated under Section 308 by Dr. K K Aggarwal, Padma S.. In this video, Dr. K K Aggarwal, Padma Shri Awardee, Editor-in-chief IJCP Publications, will talk on how every case o..
What is IMA non-violence policy? In this video, Dr. K K Aggarwal, Padma Shri Awardee, Editor-in-chief IJCP Publications, will talk about the IMA non- ..
Why is trans-fat bad for the heart? In this video, Dr. K K Aggarwal, Padma Shri Awardee, Editor-in-chief IJCP Publications, will explain why trans-fat is..
What is the easiest way to remember balanced diet? In this video, Dr. K K Aggarwal, Padma Shri Awardee, Editor-in-chief IJCP Publications, will discuss the easiest way .. When do you tend to eat extra calories? In this video, Dr. K K Aggarwal, Padma Shri Awardee, Editor-in-chief IJCP Publications, will talk on when is the tend..
What is the principle of heat it, boil it, cook it, peel it or forget it? In this video, Dr. K K Aggarwal, Padma Shri Awardee, Editor-in-chief IJCP Publications, will talk about the principle..
Do wild animals get heart attacks? In this video, Dr. K K Aggarwal, Padma Shri Awardee, Editor-in-chief IJCP Publications, will talk whether wild animal..
How do I check whether an en elderly person is fit to drive? In this video, Dr. K K Aggarwal, Padma Shri Awardee, Editor-in-chief IJCP Publications, will discuss how to check whe..
How do I screen whether my vision is normal for purpose of driving? In this video, Dr. K K Aggarwal, Padma Shri Awardee, Editor-in-chief IJCP Publications, will explain how to screen wh..
How do you decide whether a person, especially an elderly, is fit to drive? In this video, Dr. K K Aggarwal, Padma Shri Awardee, Editor-in-chief IJCP Publications, will explain how to test whet..
What are optimal vitamin D levels in Indian population? In this video, Dr. K K Aggarwal, Padma Shri Awardee, Editor-in-chief IJCP Publications, will discuss about the optima..
What is the recommended vit D dose? In this video, Dr. K K Aggarwal, Padma Shri Awardee, Editor-in-chief IJCP Publications, will discuss about the recomm..
How do you treat or supplement vit D deficiency patients? In this video, Dr. K K Aggarwal, Padma Shri Awardee, Editor-in-chief IJCP Publications, will discuss about to treat o..
How often should I get my vit D level? In this video, Dr. K K Aggarwal, Padma Shri Awardee, Editor-in-chief IJCP Publications, will discuss how often should..
Do all patients require vit D level monitoring? In this video, Dr. K K Aggarwal, Padma Shri Awardee, Editor-in-chief IJCP Publications, will discuss whether all pati.. In this video, Dr. K K Aggarwal, Padma Shri Awardee, Editor-in-chief IJCP Publications, will talk on whether all pati.. The video talks about whether all patients with chronic kidney disease need to be checked for vitamin D deficiency by..
Do we check for vit D level in pregnancy? In this video, Dr. K K Aggarwal, Padma Shri Awardee, Editor-in-chief IJCP Publications, will talk about vitamin D lev.. When do you decide whether an asthmatic need admission? In this video, Dr. K K Aggarwal, Padma Shri Awardee, Editor-in-chief IJCP Publications, will explain when an asthmati..
How do I know whether I am fit to travel? In this video, Dr. K K Aggarwal, Padma Shri Awardee, Editor-in-chief IJCP Publications, will discuss when it is fit t..
What is the formula of two to classify the severity of asthma? The video will talk about the formula of two to classify the severity of asthma by Dr. K K Aggarwal, Padma Shri Award..
What is the formula of 20 while working on computer? In this video, Dr. K K Aggarwal, Padma Shri Awardee, Editor-in-chief IJCP Publications, will discuss the formula of 2..
Dr. K K Aggarwal, Padma Shri Awardee, Editor-in- chief, IJCP Publications will talk on matter and energy. He will exp.. In this video, Dr. K K Aggarwal, Padma Shri Awardee, Editor-in- chief, IJCP Publications, will explain about bija sou..
What about AED in Mountains? Dr. K K Aggarwal, Padma Shri Awardee, Editor-in- chief, IJCP Publications, will talk about automatic external defibri.. The video talks about clouds consciousness by Dr. K K Aggarwal, Padma Shri Awardee, Editor-in- chief, IJCP Publicatio..
Should doctors Fight for 1 Voice? Dr. K K Aggarwal, Padma Shri Awardee, Editor-in-chief, IJCP Publications, will talk on fight for one voice in this vi..
What about Rise & Shine to IMA? In this video, Dr. K K Aggarwal, Padma Shri Awardee, Editor-in-chief, IJCP Publications, will discuss about rise and ..
What is the difference between Shruti vs Smriti in Vedas? The video talks about Shruti vs Smriti in Vedas by Dr. K K Aggarwal, Padma Shri Awardee, Editor-in-chief, IJCP Public..
How do we understand Faith? In this video, Dr. K K Aggarwal, Padma Shri Awardee, Editor-in-chief, IJCP Publications, will discuss about faith. He..
What is the State of Consciousness? Dr. K K Aggarwal, Padma Shri Awardee, Editor-in-chief, IJCP Publications, will explain the state of consciousness in ..
What about the Dawn & Durable Protest on 2nd October? In this video, Dr. K K Aggarwal, Padma Shri Awardee, Editor-in-chief, IJCP Publications, will talk about Dawn & Durab..
Should doctors spend one year in learning? Dr. K K Aggarwal, Padma Shri Awardee, Editor-in-chief, IJCP Publications, will discuss whether doctors should spend o.. In this video, Dr. K K Aggarwal, Padma Shri Awardee, Editor-in-chief, IJCP Publications, will discuss about how the a..
Should we Never Go Empty Hand? Dr. K K Aggarwal, Padma Shri Awardee, Editor-in-chief, IJCP Publications, will talk about never to go empty hand in t..
What is the Sound of the Nature? In this video, Dr. K K Aggarwal, Padma Shri Awardee, Editor-in-chief, IJCP Publications, will talk about the sound of..
What is the Parasympathetic State of Universe? Dr. K K Aggarwal, Padma Shri Awardee, Editor-in-chief, IJCP Publications, will talk on parasympathetic standpoint reg..
What is the Sympathetic Stand of Universe? In this video, Dr. K K Aggarwal, Padma Shri Awardee, Editor-in-chief, IJCP Publications, will discuss the sympathetic..
Do we Live After Life? What are Natural Bija Sounds? In this video, Dr. K K Aggarwal, Padma Shri Awardee, Editor-in-chief, IJCP Publications, will talk about natural bija..
Dr. K K Aggarwal, Padma Shri Awardee, Editor-in-chief, IJCP Publications, will discuss about Isha Upanishad and healt..
What about the Tortoise & the Art of Withdrawing? In this video, Dr. K K Aggarwal, Padma Shri Awardee, Editor-in-chief, IJCP Publications will explain the concept of t..
All about Understanding Four Yugs? Dr. K K Aggarwal, Padma Shri Awardee, Editor-in-chief, IJCP Publications, will discuss about four types of yugs in th..
What about Violence on Doctors in Bangladesh? In this video, Dr. K K Aggarwal, Padma Shri Awardee, Editor-in-chief, IJCP Publications, will talk about violence on ..
What about Violence on Doctors in Pakistan? Dr. K K Aggarwal, Padma Shri Awardee, Editor-in-chief, IJCP Publications, will discuss on the topic of violence on do..
Is happiness in my hand? In this video, Dr. K K Aggarwal, Padma Shri Awardee, Editor-in-chief, IJCP Publications, will talk on the topic of ha..
What is the meaning of a Doctor? Dr. K K Aggarwal, Padma Shri Awardee, Editor-in-chief, IJCP Publications, will explain the meaning of doctor in this ..
What does Bali (sacrificing of life) Mean? The video talks about the sacrificing life by Dr. K K Aggarwal, Padma Shri Awardee, Editor-in-chief, IJCP Publication..
Why was sati prevalent in our country? In this video, Dr. K K Aggarwal, Padma Shri Awardee, Editor-in-chief, IJCP Publications. Will discuss why sati was pr..
Is there any science explaining Amarnath Ki Yatra? Dr. K K Aggarwal, Padma Shri Awardee, Editor-in-chief, IJCP Publications will explain the science behind "Amarnath Ki..
Why are the doors of a temple always of a smaller height? In this video, Dr. K K Aggarwal, Padma Shri Awardee, Editor-in-chief, IJCP Publications will talk on why the doors of..
What does lotus mean in Mythology? Dr. K K Aggarwal, Padma Shri Awardee, Editor-in-chief, IJCP Publications will explain the meaning of lotus in mytholo..
What are the lessons learned from Maa Saraswati? In this video, Dr. K K Aggarwal, Padma Shri Awardee, Editor-in-chief, IJCP Publications will talk about the lesson le..
What is the importance of puffed rice in Mythology? Dr. K K Aggarwal, Padma Shri Awardee, Editor-in-chief, IJCP Publications will describe the importance of puffed rice .. The video will talk about the science behind 100 monkey effect phenomena by Dr. K K Aggarwal, Padma Shri Awardee, Edi..
Is there a science behind Mahamrityunjaya Mantra or Gayatri Mantra? In this video, Dr. K K Aggarwal, Padma Shri Awardee, Editor-in-chief, IJCP Publications will talk about the science b..
Dr. K K Aggarwal, Padma Shri Awardee, Editor-in-chief, IJCP Publications will talk on the topic of the bull whenever ..
Is there any alternative definition for YOGA in modern medicine? In this video, Dr. K K Aggarwal, Padma Shri Awardee, Editor-in-chief IJCP Publications, will discuss if there is any .. In this video, Dr. K K Aggarwal, Padma Shri Awardee, Editor-in-chief IJCP Publications, will discuss whether various .. I am the Best should be interpreted as EGO or a spiritual statement? In this video, Dr. K K Aggarwal, Padma Shri Awardee, Editor-in-chief IJCP Publications, will discuss whether the sayi..
How should we choose affordable drugs? In this video, Dr. K K Aggarwal, Padma Shri Awardee, Editor-in-chief IJCP Publications, will talk about the most comm..
Should heart patients take folic acid supplementation? In mild acidity, How should we proceed? 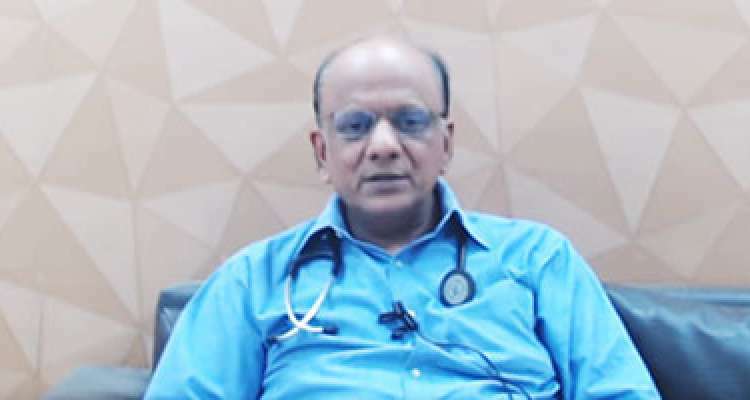 The video talks about mild acidity and its management by Dr. K K Aggarwal, President Heart Care Foundation of India a..
Can folic acid deficiency develop over weeks or months? Can a person with acute appendicitis have normal appendix during surgery? 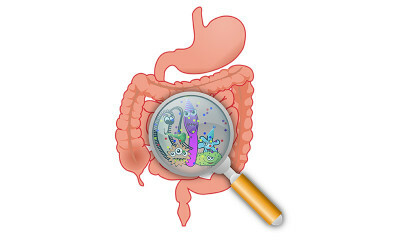 The video will discuss about whether a person with acute appendicitis can have normal appendix during surgery by Dr. .. The video will explain about AHI by Dr. K K Aggarwal, President Heart Care Foundation of India and Group Editor in Ch..
Management of acute uncomplicated cystitis? Dr. K K Aggarwal, President Heart Care Foundation of India and Group Editor in Chief MEDtalks, will talk about acute .. Explain the checklist in emergency for a patient with stroke? Dr. K K Aggarwal, President Heart Care Foundation of India and Group Editor in Chief MEDtalks, will talk about the ch..
Surgical management of acute appendicitis? Dr. K K Aggarwal, President Heart Care Foundation of India and Group Editor in Chief MEDtalks, will discuss about the..
Dr. K K Aggarwal, President Heart Care Foundation of India and Group Editor in Chief MEDtalks, will explain overnight.. 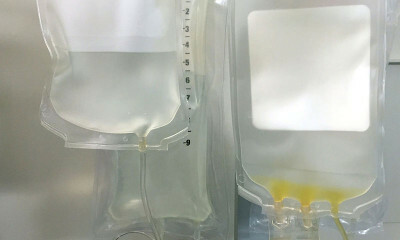 In a patient with paralysis, is the acute rise in blood pressure treated? Explain about oxygen desaturation index? Dr. K K Aggarwal, President Heart Care Foundation of India and Group Editor in Chief MEDtalks, will explain in detail.. Which patients need oxygen during air travel? Dr. K K Aggarwal, President Heart Care Foundation of India and Group Editor in Chief MEDtalks, will tell which patien..
At what levels, oxygen is given? In a patient with COPD, How should we evaluate whether the patient is stable? Do women get heart attack? The video will discuss whether women get heart attack by Dr. K K Aggarwal, President Heart Care Foundation of India a..
What are the components of informed consent? Dr. K K Aggarwal, President Heart Care Foundation of India and Group Editor in Chief MEDtalks, will discuss the compo..
Can vitiligo go for a spontaneous remission? Dr. K K Aggarwal, President Heart Care Foundation of India and Group Editor in Chief MEDtalks, will explain about FAS..
Who can take the consent? When should we remove gallbladder in a patient with acute cholecystitis? Dr. K K Aggarwal, President Heart Care Foundation of India and Group Editor in Chief MEDtalks, will talk about the ga..
Is a cholesterol value reliable, does it vary from lab to lab? Can heart patients take viagra like drugs? Dr. K K Aggarwal, President Heart Care Foundation of India and Group Editor in Chief MEDtalks, will talk whether hear.. If you are going for an elective surgery, should you stop smoking? Should all asthmatics be given flu vaccines? Dr. K K Aggarwal, President Heart Care Foundation of India and Group Editor in Chief MEDtalks, will discuss whether a..
Is it true that Zika cases has been seen and observed in India? The video talks whether Zika cases has been seen or observed in India by Dr. K K Aggarwal, President Heart Care Found..
Can ebola be treated as a category 1 bioterror agent? Dr. K K Aggarwal, President Heart Care Foundation of India and Group Editor in Chief MEDtalks, will talk about whethe..
Is there any relationship between smoking and inflammatory bowel disease? What is the golden period in stroke? The video talks about the golden period in stroke by Dr. K K Aggarwal, President Heart Care Foundation of India and G..
Is a zero watt red bulb necessary for a better sleep? Dr. K K Aggarwal, President Heart Care Foundation of India and Group Editor in Chief MEDtalks, will talk regarding be..
Is it necessary to cut hair with a razor before any surgery? Dr. K K Aggarwal, President Heart Care Foundation of India and Group Editor in Chief MEDtalks, will talk about cuttin..
Is it necessary to screen all patients for colorectal cancer? How should we classify and treat clostridium difficile infection? Explain the classification of asthma without any investigative tools? When a chest pain is not because of heart disease? The video describes about the chest pain which are not related to heart pain by Dr. K K Aggarwal, President Heart Car..
Is smelly urine a sign of diabetes? Dr. K K Aggarwal, President Heart Care Foundation of India and Group Editor in Chief MEDtalks, will talk on the topic..
What tests are done to diagnose acute appendicitis? The video will discuss the tests done for diagnosing acute appendicitis by Dr. K K Aggarwal, President Heart Care Founda.. Discuss the management of asymptomatic gallstones in the diabetic patient? Dr. K K Aggarwal, President Heart Care Foundation of India and Group Editor in Chief MEDtalks, will discuss the manageme..
What can happen if gallstones are left untreated? In this video, Dr. K K Aggarwal, President Heart Care Foundation of India and Group Editor in Chief MEDtalks, will discu.. 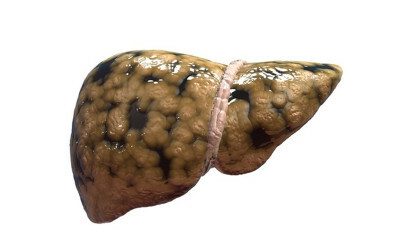 Discuss the differential diagnosis in biliary colic? Dr. K K Aggarwal, President Heart Care Foundation of India and Group Editor in Chief MEDtalks, will discuss the differen..
How should we manage biliary colic? The video will discuss about biliary colic by Dr. K K Aggarwal, President Heart Care Foundation of India and Group Edito..
What is an asymptomatic gallstone? In this video, by Dr. K K Aggarwal, President Heart Care Foundation of India and Group Editor in Chief MEDtalks, will di.. When should we give aspirin in acute MI? Dr. K K Aggarwal, President Heart Care Foundation of India and Group Editor in Chief MEDtalks, will discuss when to give..
Do you take aspirin for a heart attack? The video will discuss about aspirin during heart attack by Dr. K K Aggarwal, President Heart Care Foundation of India a..
Burari Mass Suicide - Is it induced psychotic disorder? A detailed study by Dr KK Agarwal chef editor medtalks takes a closer look at the Burari mass suicide and how we sh..
Dr. K K Aggarwal, President Heart Care Foundation of India and Group Editor in Chief MEDtalks, will talk on the topic wh..
Dr. K K Aggarwal, President Heart Care Foundation of India and Group Editor in Chief MEDtalks, will talk on mantra medit..
Are nuts effective in management of diabetes? Is it difficult to treat dementia in diabetes? The video will discuss whether it is difficult to treat dementia in diabetes by Dr. K K Aggarwal, President Heart Care F..
What is the Vedic significance of traditional Hindu marriages? What is Agni in Vedic science? Dr. K K Aggarwal, President Heart Care Foundation of India and Group Editor in Chief MEDtalks, will discuss the role of ..
What is the significance of the Mahamrityunjaya and Gayatri Mantra? How can you get the most out of the Mahamrityunjaya and Gayatri Mantra? Dr. K K Aggarwal, President Heart Care Foundation of India and Group Editor in Chief MEDtalks, will talk about the Maham..
How should we think differently? In this video, Dr. K K Aggarwal, President Heart Care Foundation of India and Group Editor in Chief MEDtalks, will expla..
Dr. K K Aggarwal, President Heart Care Foundation of India and Group Editor in Chief MEDtalks, will discuss the concept ..
What is the Vedic conception of sound? Why hindu weddings take place at night? If a lizard accidentally gets cooked in food at a party, what should you do? In this video, Dr. K K Aggarwal, President Heart Care Foundation of India and Group Editor in Chief MEDtalks, will speak..
Is it necessary to give a rabies prophylaxis after a rodent bite? Dr. K K Aggarwal, President Heart Care Foundation of India and Group Editor in Chief MEDtalks, will discuss whether it i.. The video will discuss whether a single episode of loose motion can be termed as traveller’s diarrhea in foreigner tra..
Dr. K K Aggarwal, President Heart Care Foundation of India and Group Editor in Chief MEDtalks, will explain about hypote..
For an executive health checkup, what is the preferred liver function test? The video explains about the preferred liver function test for an executive health check-up by Dr. K K Aggarwal, Preside..
Is there any guideline recommend normal SGOT and SGPT levels? 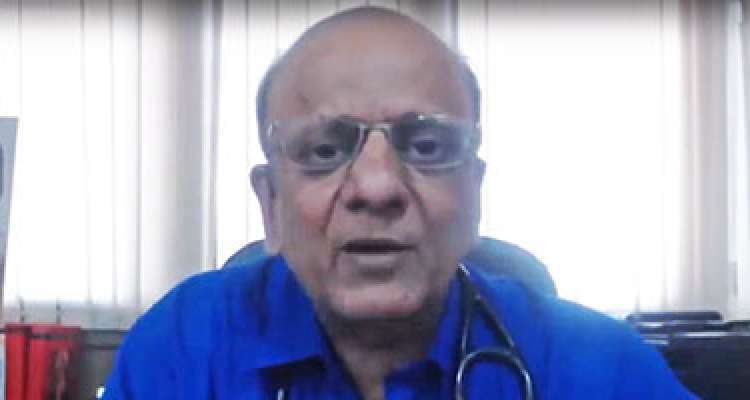 In this video, Dr. K K Aggarwal, President Heart Care Foundation of India and Group Editor in Chief MEDtalks, will talk ..
Can SGOT/SGPT level demonstrate the extent of liver damage? Dr. K K Aggarwal, President Heart Care Foundation of India and Group Editor in Chief MEDtalks, will discuss the SGOT/SGP..
What is acute liver injury/failure? The video will explain about acute liver injury/failure by Dr. K K Aggarwal, President Heart Care Foundation of India an..
What is the importance of a persons waist to hip ratio? Dr. K K Aggarwal, President Heart Care Foundation of India and Group Editor in Chief MEDtalks, will talk on the importan..
What are the levels of SGOT/SGPT in alcoholic and non-alcoholic patients? The video will discuss the levels of SGOT/SGPT in alcoholic and non-alcoholic patients by Dr. K K Aggarwal, President He..
How should we measure abdominal obesity? What is the normal range of SGPT and SGOT in cirrhosis patient? style="text-align: left;">Dr. K K Aggarwal, President Heart Care Foundation of India and Group Editor in Chief MEDtal..
How is geriatric practice different? The video talks about affordable health care by Dr. K K Aggarwal, President Heart Care Foundation of India and Group ..
Dr. K K Aggarwal, President Heart Care Foundation of India and Group Editor in Chief MEDtalks, will explain PSA veloc..
What is residual urine when we examine ultrasound of a prostate? How many organs and tissues can be donated by a person? Dr. K K Aggarwal, President Heart Care Foundation of India and Group Editor in Chief MEDtalks, will discuss about how.. The video will discuss about the takayasu disease by Dr. K K Aggarwal, President Heart Care Foundation of India and G..
Dr. K K Aggarwal, President Heart Care Foundation of India and Group Editor in Chief MEDtalks, will talk on whether p..
What is stable coronary artery disease? Should persistent tachycardia be noticed or taken care of? The video will discuss about persistent tachycardia by Dr. K K Aggarwal, President Heart Care Foundation of India and..
Dr. K K Aggarwal, President Heart Care Foundation of India and Group Editor in Chief MEDtalks, will discuss the progn..
Dr. K K Aggarwal, President Heart Care Foundation of India and Group Editor in Chief MEDtalks, will discuss about a p.. Which types of ASD require surgical intervention? How often we follow up a patient with mitral stenosis? The video will talk about the follow up of a patient with mitral stenosis by Dr. K K Aggarwal, President Heart Care F..
How should we diagnose influenza or flu? Can you get a heart attack from the flu? Would a patient with normal CRP have high ESR? The video will discuss about a patient with normal CRP having high ESR by Dr. K K Aggarwal, President Heart Care Foun..
What is Non-invasive positive pressure ventilation (NPPV)? In this video, Dr. K K Aggarwal, President Heart Care Foundation of India and Group Editor in Chief MEDtalks will exp..
What will happen if ESR is increased? Dr. K K Aggarwal, President Heart Care Foundation of India and Group Editor in Chief MEDtalks, will discuss about inc..
How can we prevent medical errors? This video will explain about preventing medical errors by Dr. K K Aggarwal, President Heart Care Foundation of India..
What Causes of SGOT and SGPT indicator increase? Dr. K K Aggarwal, President Heart Care Foundation of India and Group Editor in Chief MEDtalks, will explain the cause..
Is CRP, ESR and procalcitonin reliable to diagnose the sepsis? 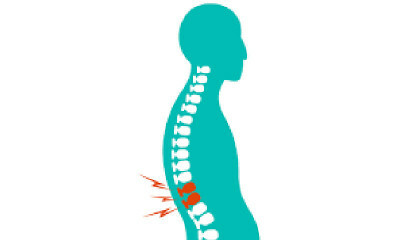 What are the normal CRP levels? Dr. K K Aggarwal, President Heart Care Foundation of India and Group Editor in Chief MEDtalks, will discuss the norma..
Should all patient of CKD be given iron? Is it true whether missed beat are always dangerous? Dr. K K Aggarwal, President Heart Care Foundation of India and Group Editor in Chief MEDtalks, will talk about the mi..
How work stress is associated in heart disease and diabetes patients? How does a family history affect my risk for heart disease? 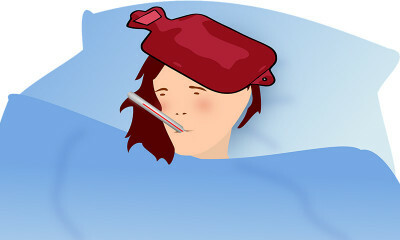 Is there any new drug in the treatment of influenza? Dr. K K Aggarwal, President Heart Care Foundation of India and Group Editor in Chief MEDtalks, will discuss the treat..
How do you prevent rheumatic fever? Can marijuana be used as a drug in epilepsy? Dr. K K Aggarwal, President Heart Care Foundation of India and Group Editor in Chief MEDtalks, will discuss whether m.. Significance of Fasting - Santoshi Mata vrata? Why is it forbidden to eat onions and garlic during the festival/fasting? Dr. K K Aggarwal, President Heart Care Foundation of India and Group Editor in Chief MEDtalks, discusses the reason for ..
Why eating onion and garlic is prohibited and not potatoes during fasting? Dr. K K Aggarwal, President Heart Care Foundation of India and Group Editor in Chief MEDtalks, will discuss why potatoes.. In this video, Dr. K K Aggarwal, President Heart Care Foundation of India and Group Editor in Chief MEDtalks, answer "Ho..
What is the Ashwamegh Yagya? Dr. K K Aggarwal, President Heart Care Foundation of India and Group Editor in Chief MEDtalks, will discuss about Ashwam.. Explain the concept of Gandhigiri? Why is Shiva Called Neelkanth? How can I tame my mind? Dr. K K Aggarwal, President Heart Care Foundation of India and Group Editor in Chief MEDtalks, will discuss about taming.. The video will explain about stress by Dr. K K Aggarwal, President Heart Care Foundation of India and Group Editor in Ch..
Dr. K K Aggarwal, President Heart Care Foundation of India and Group Editor in Chief MEDtalks, will discuss about expres..
What are the Principles of the Bhakti? Dr. K K Aggarwal, President Heart Care Foundation of India and Group Editor in Chief MEDtalks, will discuss the principl..
What are the five obstacles to your success? The video will talk about the five obstacles to your success by Dr. K K Aggarwal, President Heart Care Foundation of Ind..
How does negative thoughts affect your life? Dr. K K Aggarwal, President Heart Care Foundation of India and Group Editor in Chief MEDtalks, will discuss about negati.. The video will discuss the double valve replacement and aortic valve replacement with mitral valve repair by Dr. K K ..
Can dabigatran prescribed in patient with valvular atrial fibrillation? Dr. K K Aggarwal, President Heart Care Foundation of India and Group Editor in Chief MEDtalks will discuss whether da..
What is considered a large ASD? Dr. K K Aggarwal, President Heart Care Foundation of India and Group Editor in Chief MEDtalks, will discuss the best ..
What is the management of tachycardia? What should be the duration of dual antiplatelet therapy? What happens when an artery gets blocked? What is meant by collateral circulation? This video will explain collateral circulation by Dr. K K Aggarwal, President Heart Care Foundation of India and Grou..
What is interatrial septal aneurysm? Dr. K K Aggarwal, President Heart Care Foundation of India and Group Editor in Chief MEDtalks, will explain about int..
Dr. K K Aggarwal, President Heart Care Foundation of India and Group Editor in Chief MEDtalks, will discuss about ASD su.. Relationship between carditis and Barretts esophagus? The video will discuss about stable angina by Dr. K K Aggarwal, President Heart Care Foundation of India and Group Edito.. In this video, Dr. K K Aggarwal, President Heart Care Foundation of India and Group Editor in Chief MEDtalks, answer "So..
What is the most common cause of aortic regurgitation? In this video, Dr. K K Aggarwal, President Heart Care Foundation of India and Group Editor in Chief MEDtalks, answer "Ch..
Common origin of all three coronary arteries? In this video, Dr. K K Aggarwal, President Heart Care Foundation of India and Group Editor in Chief MEDtalks, answer "Co..
Coarctation of the aorta in children? Dr. K K Aggarwal, President Heart Care Foundation of India and Group Editor in Chief MEDtalks, will describe the differe.. In this video, Dr. K K Aggarwal, President Heart Care Foundation of India and Group Editor in Chief MEDtalks, will tell ..
Dr. K K Aggarwal, President Heart Care Foundation of India and Group Editor in Chief MEDtalks, discusses about saturated.. In this video, Dr. K K Aggarwal, President Heart Care Foundation of India and Group Editor in Chief MEDtalks, talks abou.. The video talks about dyspepsia and gas and the reason behind it by Dr. K K Aggarwal, President Heart Care Foundation of..
How is Irritable bowel syndrome related to stress? Dr. K K Aggarwal, President Heart Care Foundation of India and Group Editor in Chief MEDtalks, will discuss about irrita..
Differentiate progressive and non-progressive coronary artery disease? Five Obstacles to Spiritual Growth? Dr. K K Aggarwal, President Heart Care Foundation of India and Group Editor in Chief MEDtalks, will talk on five obst.. The video talks about heart transplant considerations by Dr. K K Aggarwal, President Heart Care Foundation of India a..
Can stress and anxiety cause heart palpitations? When should we operate a person who has large hole in the heart? Dr. K K Aggarwal, President Heart Care Foundation of India and Group Editor in Chief MEDtalks, will discuss the sympt..
What is the surgical mortality in patients with ASD? This video will about the complications of rheumatic heart disease by Dr. K K Aggarwal, President Heart Care Foundati..
Should angioplasty be performed in coronary artery obstructive disease? Dr. K K Aggarwal, President Heart Care Foundation of India and Group Editor in Chief MEDtalks, will talk about angiop..
What is the management of triple vessel disease? What is the spiritual prescription of peace? Dr. K K Aggarwal, President Heart Care Foundation of India and Group Editor in Chief MEDtalks, will explain the word “..
Who was Vaidya Susain in the epic Ramayan? Dr. K K Aggarwal, President Heart Care Foundation of India and Group Editor in Chief MEDtalks, will talk about Vaidya Su.. The video talks about the description of Savitri Satyavan in mythology by Dr. K K Aggarwal, President Heart Care Foundat..
Is there a scientific answer to Chaturmass? Dr. K K Aggarwal, President Heart Care Foundation of India and Group Editor in Chief MEDtalks, will give an explanation ..
What does Khumbhkaran signify in the adwait Ramayana of Dr. K K Aggarwal? The video will explain about the significance of Khumbhkaran in the adwait Ramayana by Dr. K K Aggarwal, President Heart..
Who was Raja Dasrath in Dr K K Aggarwals adwait Ramayana ? Atrial Septal Defect Treatment & Management? In this video, Dr. K K Aggarwal, President Heart Care Foundation of India and Group Editor in Chief MEDtalks, answer "At..
What is the meaning of Sikh phrase Ik Onkar? In this video, Dr. K K Aggarwal, President Heart Care Foundation of India and Group Editor in Chief MEDtalks, answer "Mo.. In this video, Dr. K K Aggarwal, President Heart Care Foundation of India and Group Editor in Chief MEDtalks, answer "5 .. In this video, Dr. K K Aggarwal, President Heart Care Foundation of India and Group Editor in Chief MEDtalks, answer "Th.. The Four Varieties of Agni? Does CT scan dose matters? What to do Ultrasound, CT or MRI with Dr Maneesh Gupta? Kaikeyi & Manthara in Ramayana? In this video, Dr. K K Aggarwal, President Heart Care Foundation of India and Group Editor in Chief MEDtalks, answer "Ka..
What happened to Surpanakha in Ramayana? What are 4 Vedas of Hinduism? Four Mahavakyas: Essence of the Upanishads? In this video, Dr. K K Aggarwal, President Heart Care Foundation of India and Group Editor in Chief MEDtalks, answer "Fo.. In this video, Dr. K K Aggarwal, President Heart Care Foundation of India and Group Editor in Chief MEDtalks, answer "De..
How should we balance my mind? What does it mean to be in the present? In this video, Dr. K K Aggarwal, President Heart Care Foundation of India and Group Editor in Chief MEDtalks, answer "Un.. When to intervene when one artery of a patient is 100% is blocked? Dr. K K Aggarwal, President Heart Care Foundation of India and Group Editor in Chief MEDtalks, will discuss about int..
How common is atrial fibrillation in underlying rheumatic heart disease? In what circumstances does a patient require cardiac transplant? 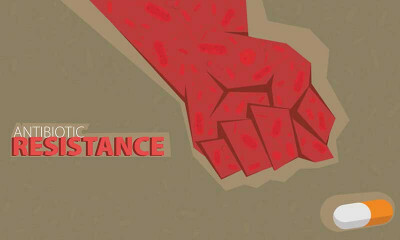 The video will discuss the circumstances in which a patient requires cardiac transplant by Dr. K K Aggarwal, Presiden.. The video will discuss about double valve replacement versus single valve replacement or other valve repairs by Dr. K.. When to intervene in pulmonary stenosis? Dr. K K Aggarwal, President Heart Care Foundation of India and Group Editor in Chief MEDtalks, will talk about the in..
How eighty four lakh yonis of Hinduism does is related to a human body? What does the word Tejaswibhava or Ojaswibhava signify for a human body? Dr. K K Aggarwal, President Heart Care Foundation of India and Group Editor in Chief MEDtalks, will discuss about Tej..
Can a baby hear inside the womb of a mother? The video will discuss on whether a baby can hear inside the womb of a mother by Dr. K K Aggarwal, President Heart Ca..
How should the Attachment and Detachment be practiced by a person? Dr. K K Aggarwal, President Heart Care Foundation of India and Group Editor in Chief MEDtalks, will discuss about att..
Dr. K K Aggarwal, President Heart Care Foundation of India and Group Editor in Chief MEDtalks, will talk about the me..
Will same type of disease spread in every Indian, yes or no? Dr. K K Aggarwal, President Heart Care Foundation of India and Group Editor in Chief MEDtalks, will discuss whether s..
Dr. K K Aggarwal, President Heart Care Foundation of India and Group Editor in Chief MEDtalks, will talk about mosqui.. The video discusses about vibratory sounds by Dr. K K Aggarwal, President Heart Care Foundation of India and Group Ed..
What is the genesis of the word lunatic? Dr. K K Aggarwal, President Heart Care Foundation of India and Group Editor in Chief MEDtalks, will talk whether MBBS..
Can doctors give telephonic consultation to the patients? In pregnancy, can we give Viagra? Dr. K K Aggarwal, President Heart Care Foundation of India and Group Editor in Chief MEDtalks, will talk whether Viag.. The video will discuss about the precautions to be taken while dealing with the patient of acute heart attack by Dr. ..
Dr. K K Aggarwal, President Heart Care Foundation of India and Group Editor in Chief MEDtalks, will talk whether lone..
Dr. K K Aggarwal, President Heart Care Foundation of India and Group Editor in Chief MEDtalks, will talk about the ri..
Is there any scientific explanation of Guru Purnima? The video will show any scientific explanation of Guru Purnima by Dr. K K Aggarwal, President Heart Care Foundation o..
Dr. K K Aggarwal, President Heart Care Foundation of India and Group Editor in Chief MEDtalks, will talk about the pu.. The video discusses whether meditation is done in any specific place by Dr. K K Aggarwal, President Heart Care Founda..
Is it necessary for every person to become spiritual? Is spirituality same as religion? The video will discuss about spiritual seekers by Dr. K K Aggarwal, President Heart Care Foundation of India and Grou..
Dr. K K Aggarwal, President Heart Care Foundation of India and Group Editor in Chief MEDtalks, will explain the meani..
Angina - causes, symptoms and treatment? Dr. K K Aggarwal, President Heart Care Foundation of India and Group Editor in Chief MEDtalks, will talk about inappr..
What is the potassium level in cardiovascular patients? Medical management of chronic stable angina? Dr. K K Aggarwal, President Heart Care Foundation of India and Group Editor in Chief MEDtalks, will talk about medica..
Free Treatment to EWS Category Patients? 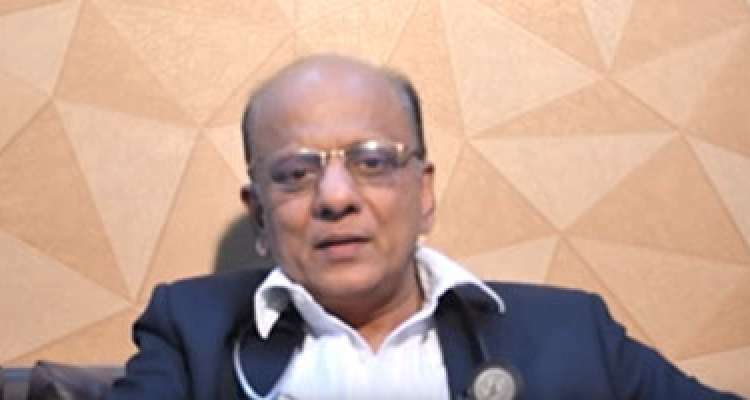 The video talks about the free treatment to EWS category patients by Dr. K K Aggarwal, President Heart Care Foundatio..
Dr. K K Aggarwal, President Heart Care Foundation of India and Group Editor in Chief MEDtalks, will talk about the co.. Difference between an embolic stroke and a thrombotic stroke? Constrictive pericarditis – prevalence, causes and clinical presentation? Dr. K K Aggarwal, President Heart Care Foundation of India and Group Editor in Chief MEDtalks, will discuss about con..